Zlatan Ibrahimovic has confirmed that Premier League clubs are interested in signing him and he expects "big things" to happen in the summer. The 34-year-old forward is expected to leave Paris Saint-Germain at the end of the season when his contract expires and widespread newspaper reports have linked him with a move to England, with Arsenal, Chelsea, Manchester City and Manchester United mentioned as possible suitors. Ibrahimovic, who has won titles in four different European leagues, has never played in England, but has hinted his next destination could be the Premier League. 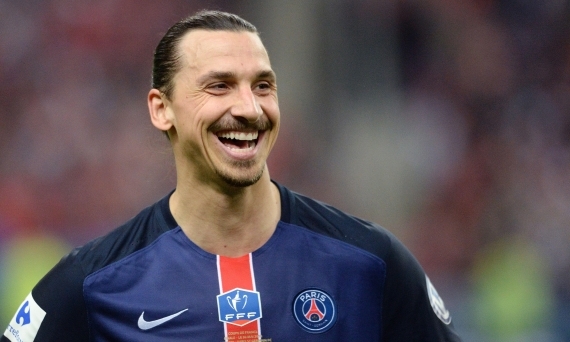 When asked about a possible move to England, Ibrahimovic said: "Yes, there is an interest, I can confirm that. We have to see where it leads. "When the moment comes, when all the cards are on the table, that's when I have to go through what I want, and then we'll see who wants it more. "It's like a marriage. Two parties have to want it, not one or the other. Each side needs to want it as much as the other." Ibrahimovic, who will captain Sweden at this summer's European Championship in France, added: "A lot of big things will happen this summer. Have a little patience and you will have things to write about. The future looks very good." Ibrahimovic has scored 35 goals in 40 games for PSG so far this season, helping the French club secure the Ligue 1 title for the fourth successive year and a place in the UEFA Champions League quarter-finals against Manchester City. Despite his sensational scoring form, Ibrahimovic confirmed that there were no ongoing talks with PSG about a contract extension. When asked about his time with PSG, he added: "I've had four fantastic years with them. "The relationship I have with them is only positive. They have done everything they could for me and my family." Arsene Wenger says he has "no doubt" that he will still be manager of Arsenal at the start of next season. Wenger has just one year left on his contract at the Emirates and there has been intense speculation surrounding the Frenchman's future at the club following a number of disappointing results in recent weeks. Arsenal are currently third in the Premier League, 11 points behind surprise leaders Leicester City. Wenger's side were also knocked out of both the Champions League and FA Cup in March - results which caused some sections of the Arsenal support to call for the Frenchman's resignation. However the 66 year-old, who has spent 20 seasons in charge of the Gunners, insists that he is "100 per cent" committed to turning the club's fortunes around. Asked if he would be Arsenal manager next season, Wenger said: "I have no doubt because I am committed. When I do something, I do it 100 per cent. I'm always committed to give my best as long as I am at the club. "I believe in life you should focus on what you're appointed for and I'm appointed to perform and do the best for my club. That's all I focus on." "I think that the criticism during the season is not very welcome when you fight for the championship, especially after the game against Tottenham where we were a bit unlucky," he added. "You have to live with that. I have my conscience. What is the most important is that I give my best every day, I work for the club I love and if I can share that love with the supporters it's even better. "I don't worry too much about all the rest, what people say. All the rest is judgments, opinions and that is linked with the beliefs from the last result or the last disappointment or the last happiness. "In my job you focus on what is important and that's to perform. My future is my future. I don't master that more than you." Arsenal are understood to be interested in signing Borussia Monchengladbach midfielder Granit Xhaka, according to sources in Germany. The 23-year-old's father has reportedly met with Emirates manager Arsene Wenger, who is believed to be ready to pay a fee of around €43m for his services. Xhaka is contracted to Monchengladbach until 2019 after joining them four years ago from Basel. Although Wenger is under pressure and a number of fans have called for him to leave after two decades in charge, he is already planning for next season. With the likes of Tomas Rosicky and Mikel Arteta both well into their thirties and struggling with injuries this season, Xhaka could be seen as a long-term replacement. He played the full 90 minutes in Switzerland's 1-0 defeat to the Republic of Ireland in Dublin on Friday and is expected to feature prominently for his country at Euro 2016 this summer. Despite his age, Xhaka has already made more than 100 Bundesliga appearances for Monchengladbach and has helped them to fifth in the table. Indiscipline has also been an issue for the Swiss cap, however, and he has been sent off three times this season, against Werder Bremen, Ingolstadt and Darmstadt. Indeed, he has been dismissed six times in all for his club side over a 20-month period following three other red cards in the previous two campaigns. German goalkeeper Marc-Andre ter Stegen admits he will have to consider his future if he does not start to get more game-time for Barcelona. The 23-year-old has been Barca's cup goalkeeper this season, featuring eight times in the Champions League, making six appearances in the Copa del Rey and starting only four La Liga matches. It has been rumoured the former Borussia Monchengladbach stopper could move to Liverpool next term and while he does not want to comment on any rumours, he accepts his future in Spain is far from clear. "I'm not considering myself with other clubs because the situation doesn't currently oblige me to," he told German outlet sport1.de. "Football is my job and all that matters is the present, the next game. I am not going to be wasting time considering what I do next. Barca are a great club and things can still change between now and the summer. "If the situation remains the way it is at the moment, however, then we're definitely going to have to talk - there's no avoiding that." Ter Stegen had the same role for the Catalans last season, when he did not even make a single appearance in La Liga. He concedes playing second fiddle to Claudio Bravo is not always easy, even if he feels the faith of coach Luis Enrique. His starting place in last season's successful Champions League final and his continued appearances in the competition is enough to prove that, although he would rather play more than just a handful of games each month. "It's difficult because you don't get the rhythm that you would like," he said. "Of course I want to be playing more. "If the situation stays the way it is, then of course we've got to talk about it at some stage. In the long run, it's very tough for a goalkeeper of my age." Isco says he has no plans to leave Real Madrid and hopes to see out the remaining two years of his contract. The Spain international has reportedly attracted interest from Serie A and the Premier League as he continues to struggle to hold down a starting spot at Real. However, speaking to Cadena Cope, the 23-year-old dismissed speculation linking him away from Real: "Go to Juventus? I am very happy at Madrid. I want to see out the two years left on my contract." There have been reports that Isco and James Rodriguez could be sold by Real this summer. The pair have come in for criticism this season and Isco was benched for Real's recent 4-0 win over Sevilla after an angry reaction to being substituted in the previous match at Las Palmas. "It's been a very difficult season but I do not think everything that happens to Real Madrid is the fault of James and me," said Isco. "After the game against Las Palmas I was angry with myself and I do not think I'm the first player to have done that." Real are 10 points behind Barcelona in La Liga ahead of the second Clasico of the season at the Nou Camp on Saturday. "We must redeem ourselves on Saturday against Barcelona after the bad result at the Bernabeu (4-0 defeat)," said Isco. "Winning at the Camp Nou would be a big boost." Romelu Lukaku has ruled out returning to Chelsea while he has welcomed being linked with Manchester United and Bayern Munich. Lukaku, who joined Everton in a £28m deal from the Premier League champions in 2014, has cast doubt over his future at Goodison Park after saying he wants to play Champions League football next season. The Toffees are unlikely to qualify for Europe's premier club competition as they trail fourth-placed Manchester City by 13 points with nine matches left. Asked about a return to Stamford Bridge, Lukaku told Derniere Heure: "No, absolutely not. The page is turned on both sides." The Belgian, however, said of United and Bayern: "When I was little, two teams that impressed me by their offensive force. "We'll see what will happen. Anyway, it is always nice to be linked with such clubs. This is proof that they watch me. The rest is the business of my manager." Lukaku has grown from strength to strength since arriving in England from boyhood club Anderlecht in 2011, with the 22-year-old notching up 25 goals in all competitions this season. Spain goalkeeper Iker Casillas has warned that his retirement from international football could be near after equalling the European appearance record. Casillas collected his 166th international cap for Spain as they played out to a goalless draw against Romania in a friendly match on Sunday evening. Despite celebrating a career milestone, the 34-year-old FC Porto shot stopper warned that it might be his final year in the La Roja shirt as age creeps up on him. "I am happy to reach 166 games and be the player with the most games for the national team," he said via Periscope. "In these years I have lived good times and bad times, but I will stick with the good ones." Casillas added: "The time of my retirement is getting closer and closer. It's clear that time passes everyone and I am no exception of that. "But I have hope and I would like to be with this team full of youngsters. I don't know if it's my last year with Spain, I only think about enjoying each day." The former Real Madrid stalwart has captained the national team to two European Championship victories as well as their historic maiden FIFA World Cup triumph in South Africa in 2010. Anthony Martial admits he was worried whether he would be able to handle the intensity of the Premier League ahead of his move to Manchester United. Martial, 20, joined United from Monaco last summer for a fee that could still rise to £61.5 million. “At the start I was scared because I had heard a lot about the intensity of the English game,” Martial told RTL. “But I realised during the matches that I was able to keep up, and I was really very happy about that because as a youngster I struggled to finish games, at the age of 17 they said I needed to work on my endurance.” Asked if he feared heavy tackling in England, Martial responded: “No the intensity, the tackles you need to know how to avoid them and not injure yourself. “But I love the English game, it was really everything I wanted.” The French forward has netted 13 goals and provided eight assists in 46 appearances in all competitions this season. Ronaldinho is likely to next play in the US or China, according to his brother and agent Roberto Assis. Ronaldinho, 36, has been without a club since ending a three-month stay with second-tier side Fluminense last September. “The probable destination for him is Major League Soccer in the US or the Chinese Super League,” Assis told UOL. The Brazilian attacker was crowned World Player of the Year in 2004 and 2005, while he won two La Liga titles and the Champions League during his time at Barcelona from 2003 to 2008. Ronaldinho has not competed in Europe since leaving AC Milan in 2011. Legendary Dutch footballer Johan Cruyff has passed away following his battle with cancer. The 68-year-old former forward died peacefully in his sleep in the presence of his family in Spain. "On March 24 2016 Johan Cruyff (68) died peacefully in Barcelona, surrounded by his family after a hard fought battle with cancer," a statement on his official website read. "It’s with great sadness that we ask you to respect the family’s privacy during their time of grief." 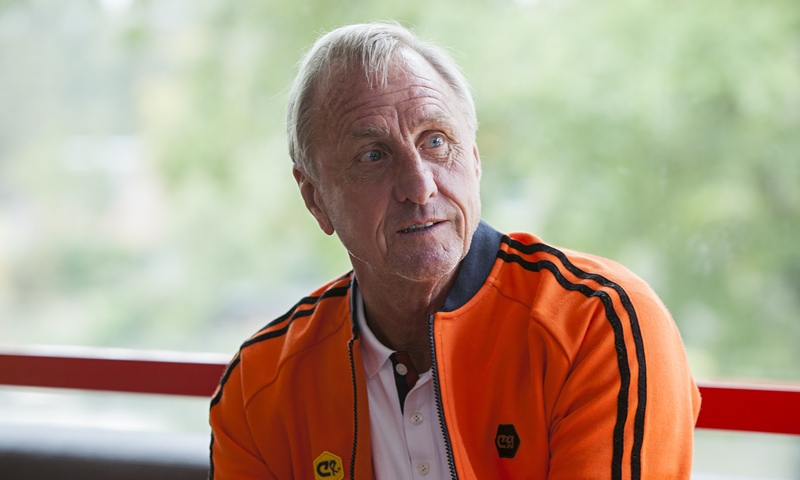 Cruyff is widely considered to be one of the greatest players of all time, winning three successive European Cups with Ajax Amsterdam before transforming Barcelona – first as a player and then a manager. He was also a three-time Ballon d’Or winner and led the Netherlands to the 1974 World Cup Final. Liverpool are interested in making a summer move for Bayern Munich's Mario Gotze. The 23-year-old midfielder has been reportedly linked with a move to Liverpool and played manager Jurgen Klopp when the pair worked together at Borussia Dortmund. Gotze, who scored the winning goal for Germany in the 2014 World Cup final, is unsettled at Bayern after failing to hold down a regular place under outgoing manager Pep Guardiola, making just one start since October. It is unclear what Gotze's Bayern future holds with Carlo Ancelotti due to replace Guardiola when he leaves for Manchester City in the summer. He has one year remaining on his contract and Klopp is known to be a huge admirer of the player having given him his Dortmund debut as an 18-year-old in 2010. Gotze went on to make 99 appearances for Dortmund - scoring 22 goals - before completing a £31.5m move to Bayern in 2013. Although he was a regular starter in his first two seasons at Bayern, scoring 27 goals in that period, he has been a more peripheral figure since. Newspaper reports claim Klopp is confident of signing Gotze for a fee which would not be seen as excessive in today's market for a player of his stature given when his contract expires.